We will meet in the parking lot of Yorba Regional Park at 7:00 a.m. Here’s the address: 7600 E. La Palma, Anaheim 92807. We park in the parking lot…just east of Fairmont. We have a 10 mile run planned…but this run is very easy to shorten or lengthen. Just take a look at the map. Also…you may want to bring some $ with you just in case you need to buy some water along the route. Happy Running BETHANY!!! Bethany will be in Colorado running the Leadville 10K on Sunday. The route is a portion of the famous Leadville 100 ultra race. Shirts and Hoodies are Here!!! 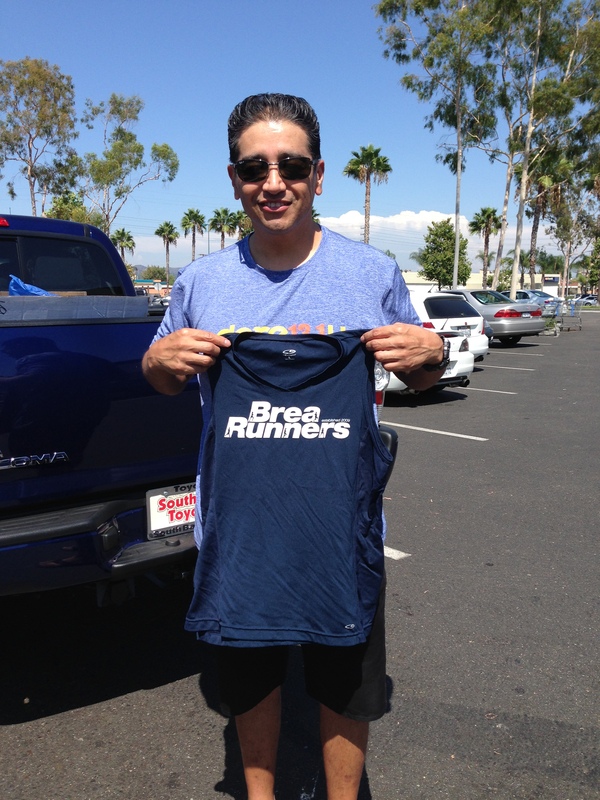 Most of you already received your BR shirts and hoodies….but I still have some. I will bring them to the run on Saturday and on Thursday. If you can’t make it to either of those runs…no worries. Just let me know when you plan to come out and I’ll put them in my car. Thanks so much to HECTOR for silk screening the shirts for us. They came out GREAT! Hector is still recuperating from his shin splints, but he said he is getting much better. I didn’t recognize him with his haircut and shave!